Deutscher Name: Here's Your Invitation! Englischer Name: Here's Your Invitation! 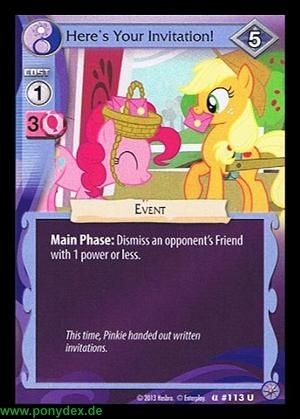 Dismiss an opponent's Friend with 1 power or less. This time, Pinkie handed out written invitations.